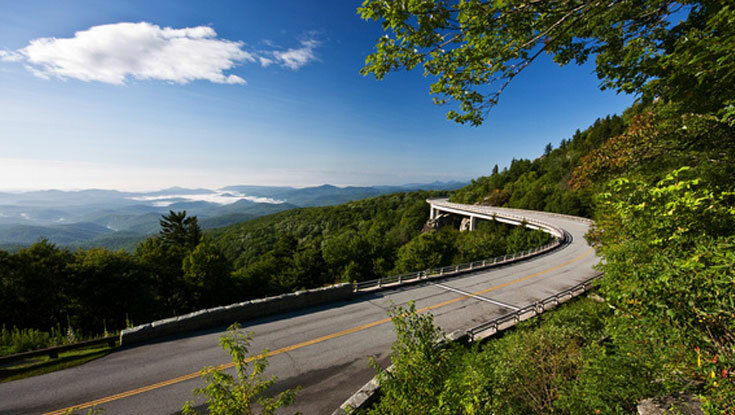 The Blue Ridge Parkway in North Carolina weaves through vibrant and engaging communities. Many visitors to the Parkway include visits to these unique destinations in their journey. In North Carolina, Linville Falls, the Cradle of Forestry, and other natural wonders, feature the natural environment. In addition to the destinations along the Parkway itself, the road weaves through historic towns offering fascinating exploration of the heritage and culture of the region along the way.